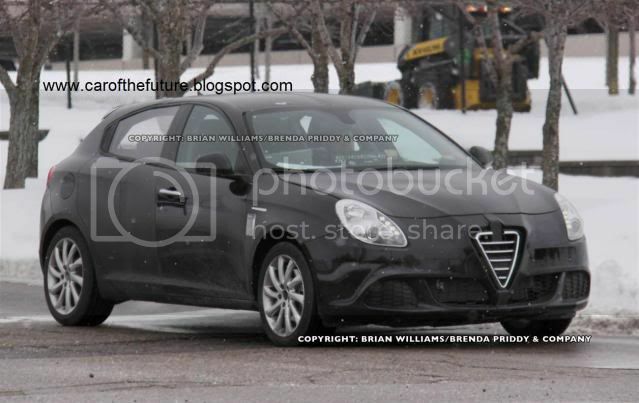 When Fiat bought into Chrysler LLC, it was obvious that some forthcoming Chrysler models will underpin Fiat platforms. 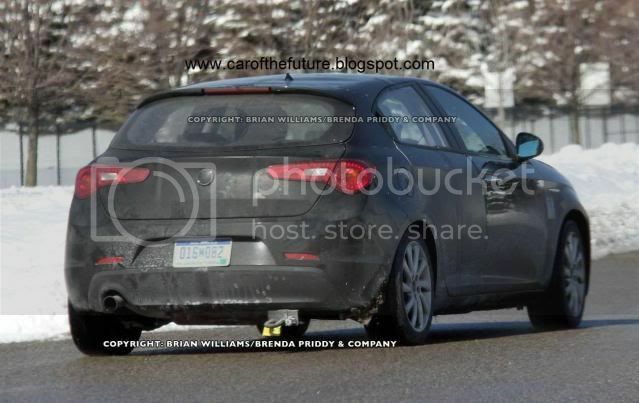 Spy photographers have caught what may be the first Fiat-based Dodge compact sedan undergoing winter testing in Michigan, using the firm's C-Evo platform. At first, this Alfa Romeo Giulietta may appear to be a normal car but a closer inspection reveals this is an early development mule that has been lengthen and widened. The car seems to be widened by a few inches judging the strip of metalwork added by the centre of the grille backwards. The mule also seems to be extended by 4” when you look closer at the rear doors. Both Dodge and Chrysler will use the C-Evo platform, however, it looks very unlikely the car will be sold in UK. The newcomer, codenamed 'PM' and 'PF', will directly replace the unloved Caliber and will measure similar in size. Unfortunately, those who love the Giulietta's style will be disappointed when the Chrysler models arrive, as they'll share no metalwork with the Italian hatch. The production model may also share components with the upcoming Dodge Avenger and Chrysler 200, which will be redesigned on the Fiat C-Evo chassis. 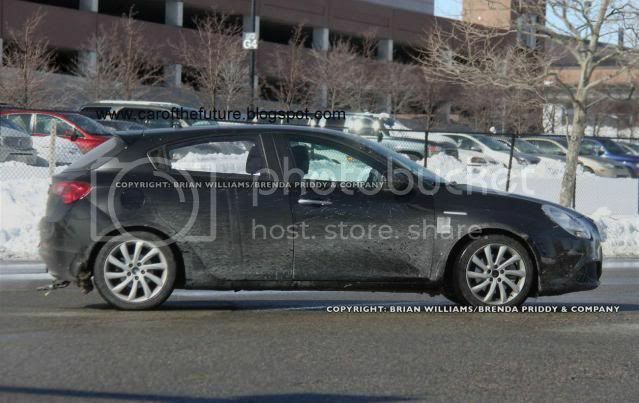 Those models are due in 2013, while this mule in production form will reach showrooms in mid-2012. If the final version looks anything at all like this one, I would be very interested. Good riddance to the Caliber, which looks like a civilian version of some military vehicle. Driving dynamics are key to enjoying these stylish coupes and sedans. Great article and cant' wait to see if this is a great daily driver. (and I've been a GM owner (3 corvette for fun) for decades although I've also had as a family vehicle a 2006 town and country and a previous silver Dodge Intrepid which was very stylish to own..
thanks for the heads up...Dodge is on the right track! Just keep the fun to drive intact and give it a good hp rating to get magazine covers! @Orin: I kinda liked the Caliber, thanks to its muscular styling. It's unlikely the final product will look anything like its Italian brother. @JB: Awesome! 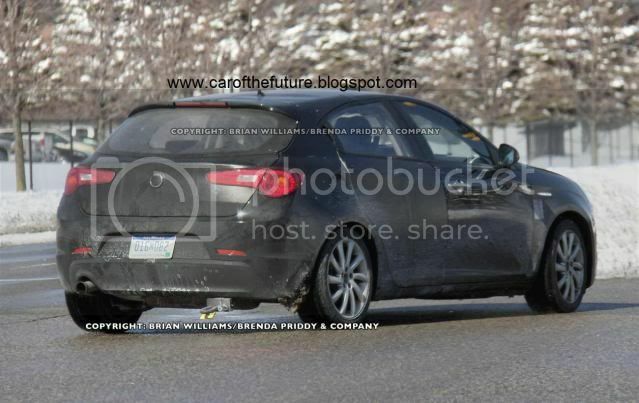 I, somewhat doubt that the production model will be a driver's car, I just can't see it happening.